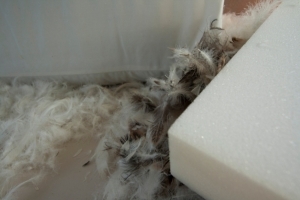 Aerofoam specialise in feather wraps with different grades suited to different furniture. Designed to provide a truly comfortable experience whether for seating or resting your head, our feather wraps can be tailored to fit into your products regardless of their shape or size. 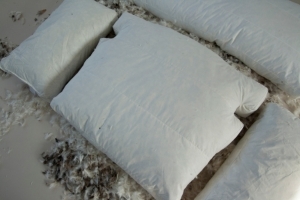 We provide a range of options to find a balance between comfort and bounceability in your cushions. 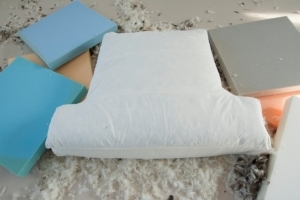 With a selection of feather and down fillings, you can trust our experienced and professional advice to maintain your reputation for providing the highest quality furniture. We started developing our feather wraps over 25 years ago to provide a cushion that has the features of a feather seat with improved shape retention. Although there are alternate versions to our feather wraps on the market, you can trust the quality of our original innovation. POOR QUALITY FEATHER. ODOUR PROBLEMS. VERY POOR FILL POWER. 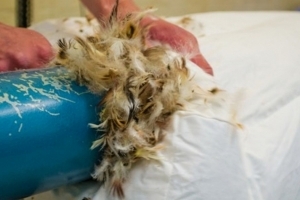 FEATHERS WITH LONG QUILLS ARE BROKEN INTO SMALLER SECTIONS AND CURLED TO SOFTEN, CHEAP BUT POOR QUALITY. POOR FILL POWER. SHORTER OUTER FEATHERS OF BIRDS. FEATHERWRAP SEATS AND BACKS. FEATHER BACKS. SCATTER CUSHIONS. A BLEND OF 85 % DUCK FEATHER AND 15% DUCK DOWN. GOOD QUALITY FEATHERWRAP SEATS AND BACKS. FEATHER SEATS AND BACKS. SCATTER CUSHIONS. EXCELLENT QUALITY FEATHERWRAP SEATS AND BACKS. FEATHER SEATS AND BACKS. SCATTER CUSHIONS. LUXURY QUALITY FEATHERWRAP SEATS AND BACKS. FEATHER SEATS AND BACKS. SCATTER CUSHIONS. ALMOST PURE DOWN WHICH RETAINS A SMALL PERCENTAGE OF DUCK FEATHER. EXCELLENT FILL POWER. ROUGHLY TWELVE TIMES THE COST OF DUCK !! !